Happy Monday everybody! It's time to dance! 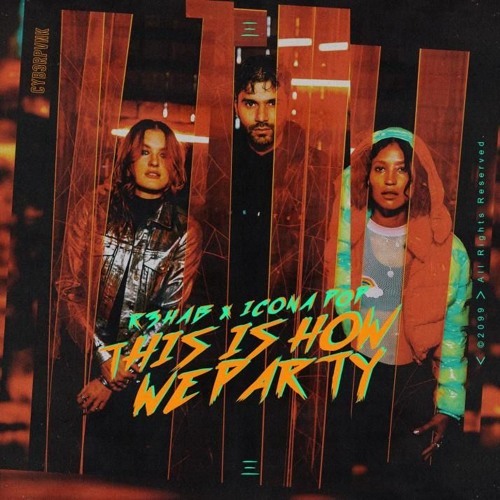 Dutch DJ and Producer R3HAB has teamed up with Swedish electro-pop duo Icona Pop to deliver an infectious dance crossover single titled This Is How We Party, out on R3HAB's CYB3RPVNK label. I'm loving this track guys and its 90s anthemic vibe will get you dancing in no time!! This Is How We Party delivers a feel-good blend of breezy instrumental melodies and catchy vocals that lead into an upbeat, groovy breakdown perfect for the dancefloor. It's a great track to sing along to and its infectious energy makes it a perfect track for a party playlist. R3HAB and Icona Pop make a perfect fit with their euphoric vocals soaring over his upbeat production. Stream it below! I've been a fan of Icona Pop ever since their first record release and I'm so excited to have a collab with them. This track was so fun to make and I hope everyone enjoys the positive vibe that it stands for. As kids brought up in the 90s, we wanted to honor this party anthem 'S.O.A.P. - This Is How We Party' that feels as awesome today as it did back then! This collaboration with R3HAB felt like a perfect match and bridge over to what dance music is today.